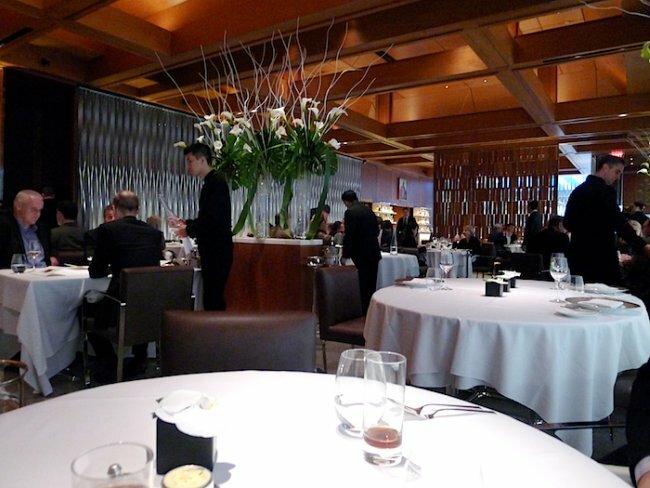 The hubster and I recently lunched at the famed Le Bernardin restaurant in celebration of his birthday. Everything from the recently renovated sleek yet elegantly appointed dining room to the impeccably attentive and pleasantly informative service was exactly what we expected from the four star fine dining establishment that it is. The options for lunch are a $45 three course City Harvest Menu with $5 from very meal donated to the City Harvest charity, a $70 three course Prix-Fixe and an eight course Chef's Tasting Menu for $190. Eight courses is just too much for us especially at lunch so we both opted for the three course prix-fixe at $70 which gave us a chance to experience a range of flavors as well as textures. The food service was well paced, the presentation artful and the portion sizes were spot on. 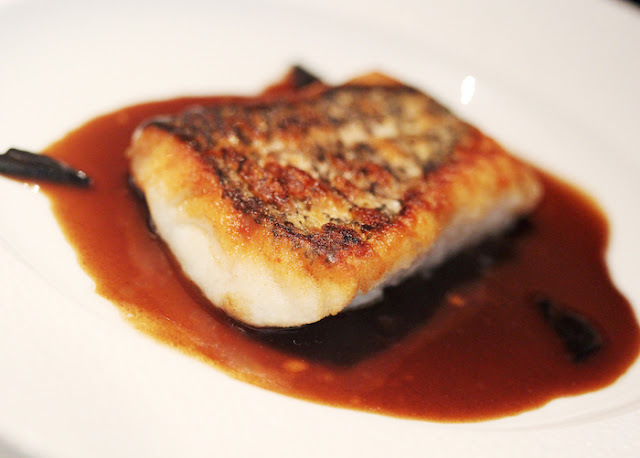 It's been said that Chef Eric Ripert is peerless at elevating seafood to an art and I can definitely understand why now. All in all, a stellar culinary experience and one which we look forward to repeating some time in the future. 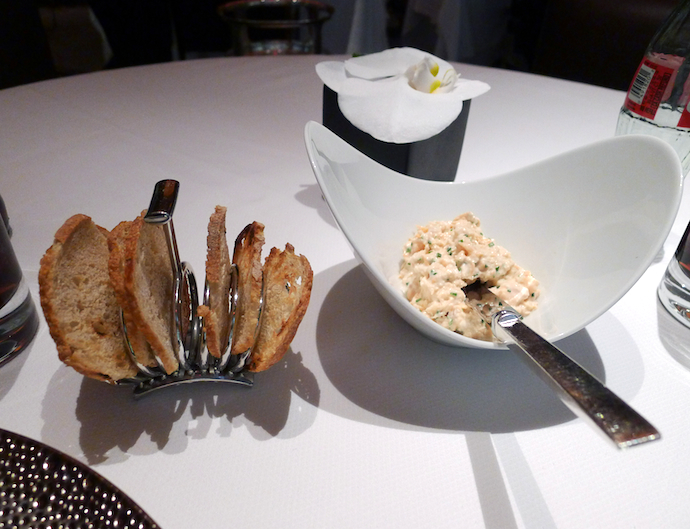 Salmon Rillette made with a combination of poached fresh salmon and smoked salmon served with thin toast rounds was the amuse bouche. 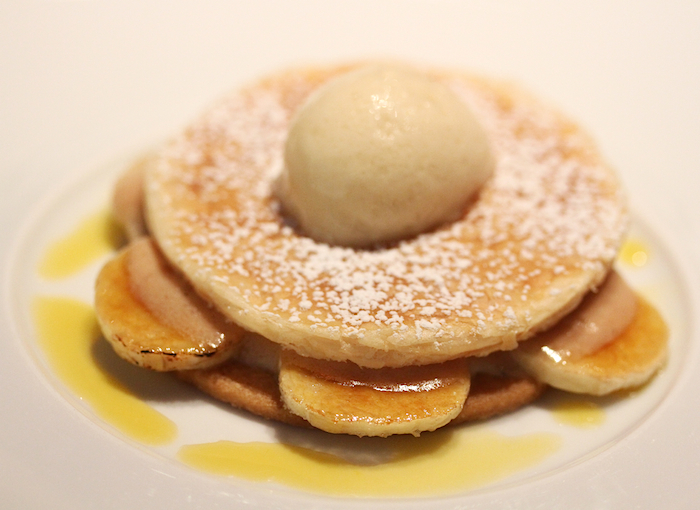 Creamy in texture and complex in flavor, this complimentary signature dish was a pleasant start to our meal. 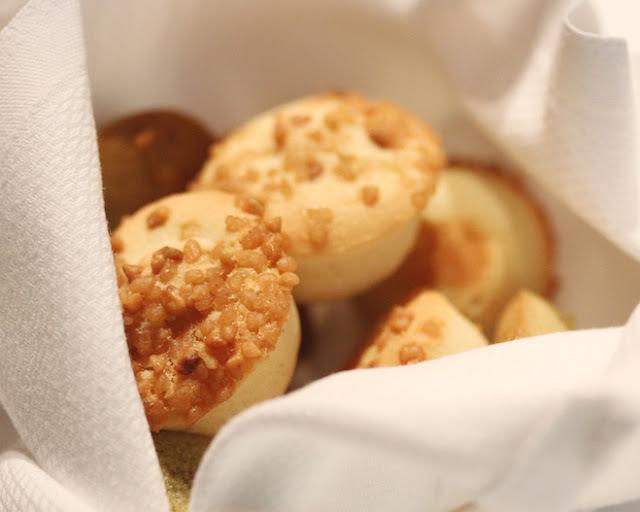 The recipe can be found on Chef Ripert's site. This was subtle yet flavorful and the baguette added a nice touch of crunch. 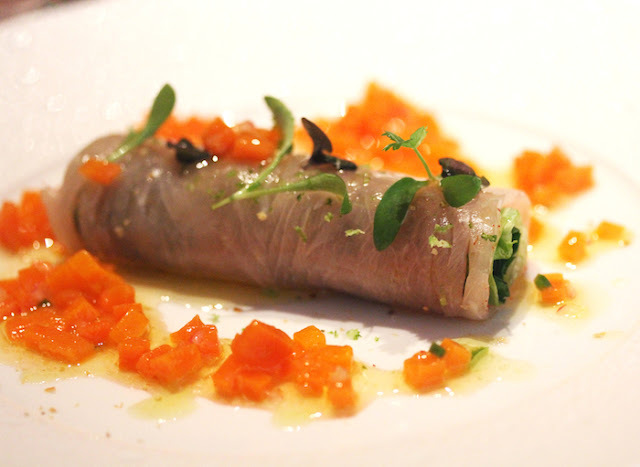 Hamachi-Lettuce Roll; Mint, Thai basil, Carrot-Lime "Sauce Vierge"
Unlike the tuna, this appetizer was literally an explosion of delightful flavors. 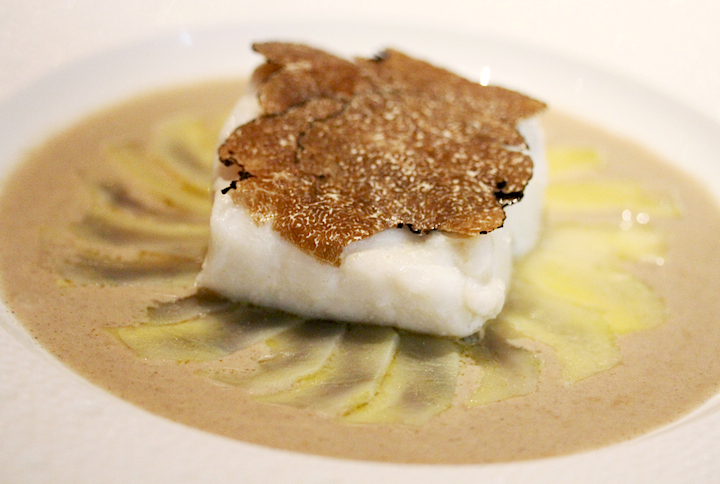 The fish was perfectly cooked and the buttery sauce and truffles were so tasty. The flavor tasted Asian inspired and the pickled cucumbers were a fitting accompaniment. This was okay. We just didn't expect it to be so cloyingly sweet. Warm and comforting and a nice conclusion to our meal. Lucky you! That is one amazing restaurant! Oooh these photos are making me hungry! Everything looks and sounds so delicious, especially the salmon rilette and the hamachi lettuce roll!! I've always wanted to eat there and have to remember to plan in advance next time we are in NYC! What did you like best? I met Daniel Boulud at one of his restaurants and love great French food! @ Julie: I know. It is an amazing restaurant! @ Jessi: It was all very delicious! We couldn't stop eating the salmon rillette even though it was the 1st thing cause it was so good. 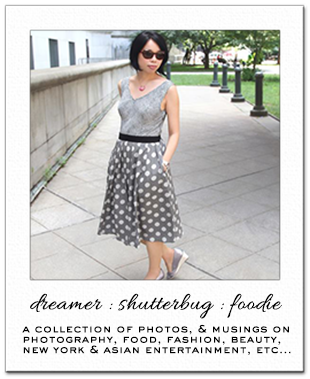 @ SomeKindOfStyle: Yes the presentation was beautiful! @ Chic 'n Cheap Living: You should. The new dining room is gorgeous and the food was amazing! 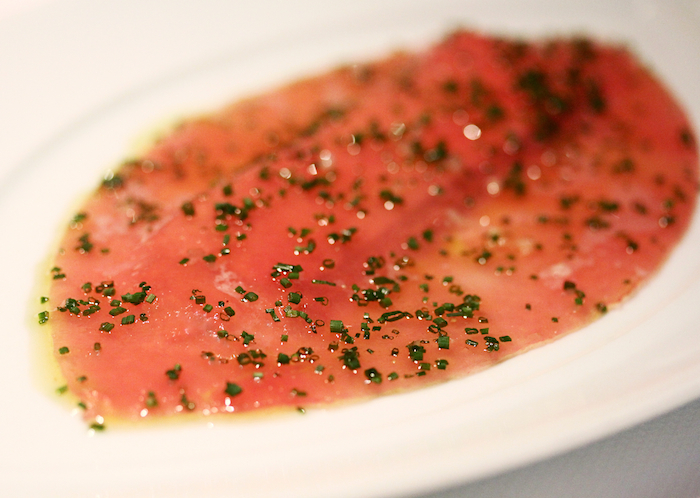 I really liked the tuna with foie gras and the black bass. So cool you met Daniel Boulud. That looks so amazing! I want to go with my hubs! 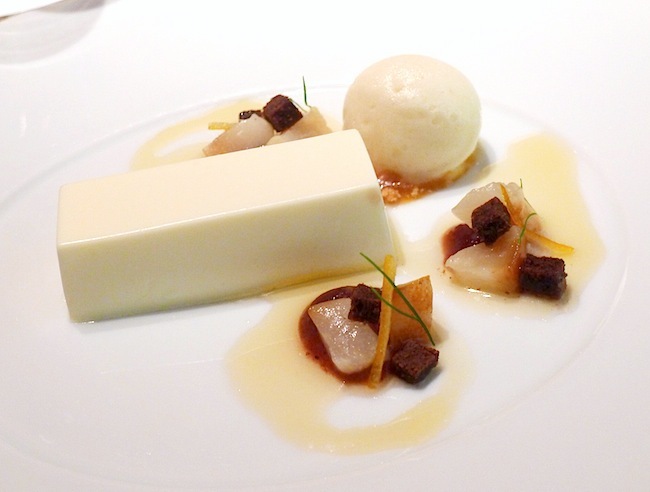 That's funny that the panna cotta looks like a stick of butter. @ theoutdoornewyorker: You and your hubs should def. go. It was one of the best meals we've had this year. Lol about the panna cotta looking like a stick of butter. It didn't hit me until you mentioned it.